It's one thing to create something masterful and compelling from material that feels designed to entertain an audience, and I don't begrudge any filmmaker from doing it. I love the feeling when I read a premise and I can literally feel the excitement building inside me with each word, and by the time I am done reading even just a brief synopsis I am ready to hand over my money for a ticket instantly even if the release date is still years away. It's just as fascinating to go backwards in time though, to explore cinema released decades before I was even born. These pictures were often times landmarks of the medium before I even took my first steps, and though I may be seeing the work through fresh eyes it still feels different, like I am under pressure and scrutiny to comprehend why the movies are so highly regarded and agree with the consensus. Instead of a feeling of wonder when considering what the future may hold, it's like I am invited into the past and the best I can ever hope for is to find the same magic so many others saw back then and continue to see today. On paper, I didn't exactly find Au Hasard Balthazar interesting. The film follows the existence of a donkey, from the moment it enters the world until the final heartbreaking breaths of life it takes before death. If I were to recommend this movie to others based solely on that sentence, pretty much everyone would roll their eyes at me and disregard it and yet this is arguably the crowning achievement from the master filmmaker Robert Bresson and considered by many to be one of the greatest films of all time. After witnessing it myself, I wouldn't rank it as my favorite Bresson, nor would I consider it among the absolute best that cinema has to offer, but I also wouldn't argue against it either. 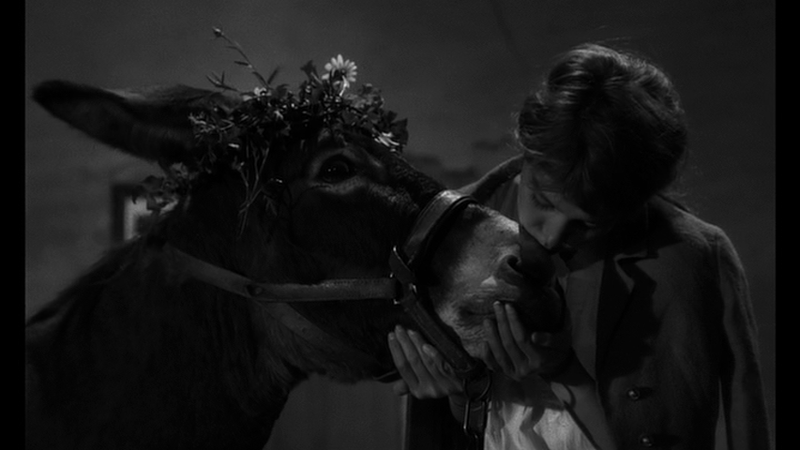 Au Hasard Balthazar is a powerful film bursting with so much depth and nuance that I know for a fact I didn't even come close to understanding everything I saw. What I am certain of is that Bresson is drawing a clear parallel here between Balthazar, the donkey, and his first owner, a girl named Marie. Both are subjected to cruelty, passed along from person to person who harm them physically and emotionally despite being peaceful and gentle themselves. One sequence specifically goes directly from Balthazar's new owner literally taking food away from him in the midst of his meal to the very same man attempting to stop Marie from eating despite the fact that she is clearly quite hungry. 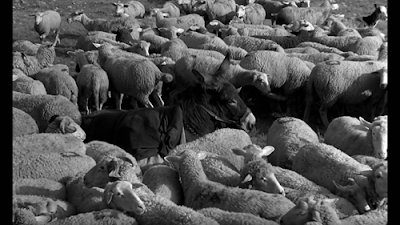 Au Hasard Balthazar doesn't quite reach the glorious heights of the first Bresson I ever saw, the absolutely sublime example of minimalism executed to perfection known as A Man Escaped, but it comes close. Very, very close.